Is Amazon's Waterproof Kindle Oasis Worth The Money? 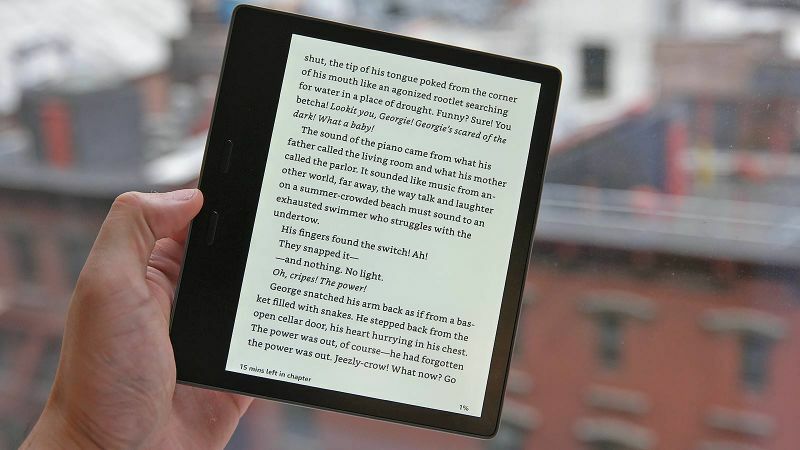 Amazon pretty much dominates the ereader market at this point, but that hasn't stopped the company from regularly pushing out new features and designs. Last year, we got the high-end Kindle Oasis, and now Amazon is doubling down with the appealing (if poorly named) New Kindle Oasis. The new model is cheaper, with a bigger screen and a bunch of new perks including water-resistance and audio book support. But is it worth upgrading from last year's Oasis? And can other companies still compete with Amazon in the ereader market? Let's find out. 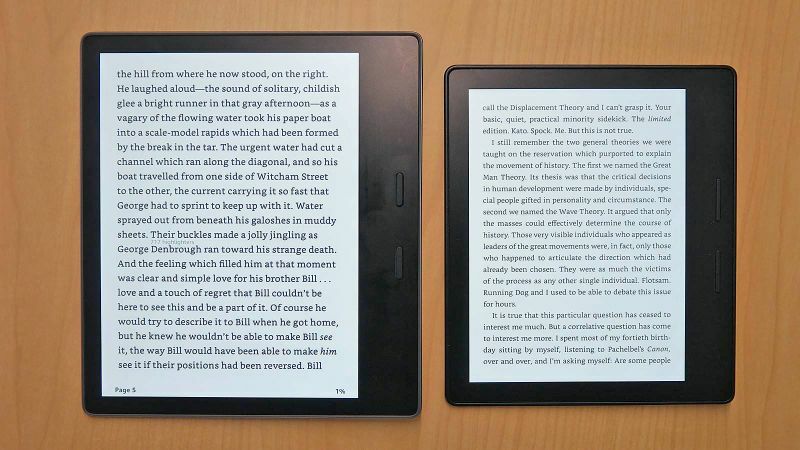 The New Kindle Oasis Is Better Than the Old One, But How Much Better? The New Kindle Oasis is a big improvement in a lot of ways. It's water-resistant with an IPX8 rating, meaning you can dunk it in up to 5 feet of water for 30 minutes. Amazon even claims it can survive in salt water, which is rare among water-resistant gadgets. It's also the first Kindle ereader to support audio books from Audible, which is also owned by Amazon. That means you can start reading a book and then switch over to the audio version without losing your spot — Amazon will even offer a discount if you buy both the ebook and audio versions of a book at the same time. The only problem is that the New Kindle Oasis doesn't have a headphone jack or even USB-C (which supports audio output). Instead you'll need Bluetooth headphones to take advantage of this feature. Other perks include more storage (8GB instead of 4GB), extra LED backlights, a bigger screen (18cm up from 15cm), six weeks of battery life and a slimmer design. 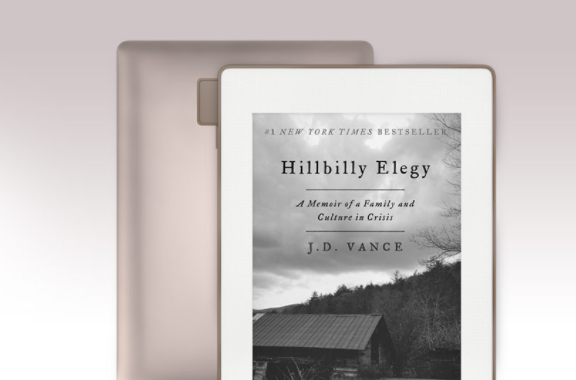 The Kindle software also gets an upgrade for faster page turning and more settings options, including an inverted dark mode where the screen is black and the text is white. It's cheaper too, at $US250 ($321) down from $US290 ($372). If you really want a water-resistant ereader or you listen to a lot of audio books, the New Kindle Oasis is a worthy upgrade. Otherwise, you'll probably be fine sticking with last year's model. If you're in the market for a new ereader but you're not an Amazon fan, you do have other choices. Barnes &amp; Noble sells a full hardware lineup, including the luxurious-but-low-priced Nook GlowLight Plus. There's also the Kobo Aura One, which offers similar features and a bigger screen for slightly less than the New Kindle Oasis. The Nook GlowLight Plus packs a sleek aluminium design, six weeks of battery life and a 15cm screen for just $US129.99 ($167). It's also IP67 certified, meaning it's waterproof for up to 30 minutes in about 0.91m of fresh water (not salt water like the New Kindle Oasis). On the downside, it's missing the page-turning buttons favoured by Amazon and only offers 4GB of storage. Barnes &amp; Noble's biggest advantage is its hundreds of physical stores. You can walk into any location and get quick tech support or free Wi-Fi for your Nook. That's something Amazon can't match — at least for now. 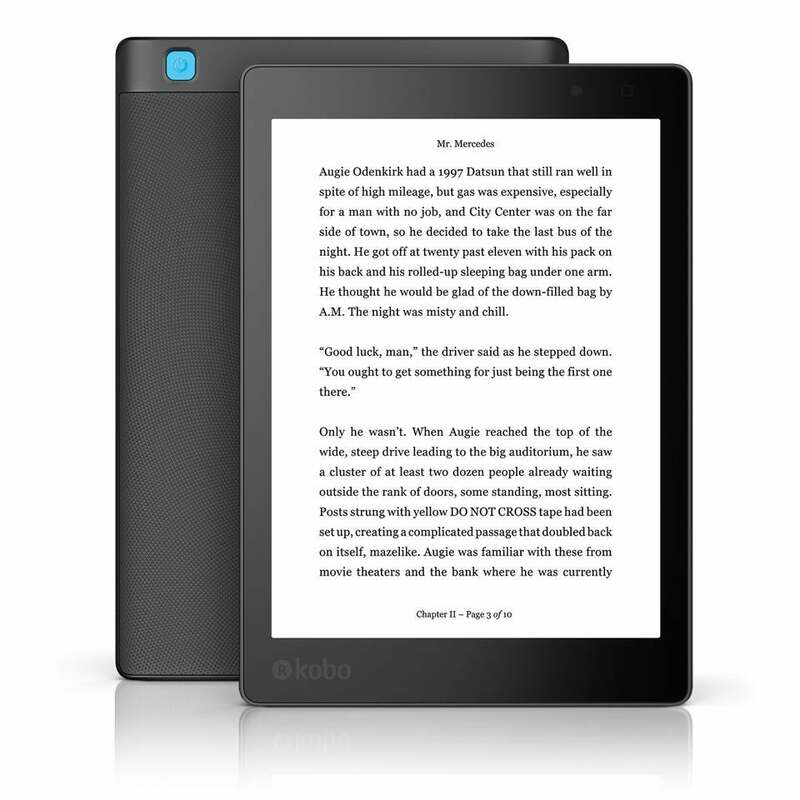 Finally, there's Kobo Aura One, which comes in at $US229.99 ($295). It has a 20cm screen, which might be too big to carry around comfortably but great if you do most of your reading on the couch at home. It's also water-resistant for up to an hour and offers 8GB of storage. If you're looking for something cheaper with a premium design the Nook GlowLight is a good choice. 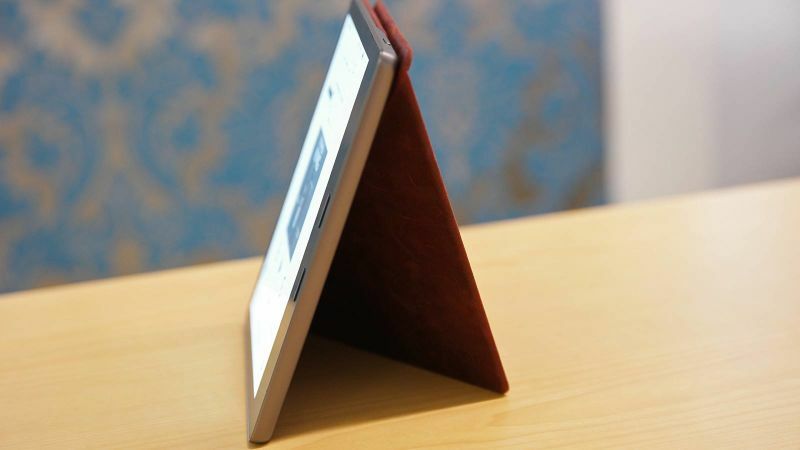 If you want a big screen above all else try the Kobo Aura One. Otherwise, the New Kindle Oasis is the best all-around option. Is Amazon's Waterproof Kindle Oasis Worth The Money? No! It's very nice and all, but waaay too expensive. I'm still on my Kindle Keyboard and that's probably one of the best things I've bought in the last 15 years. Wouldn't change for any of the new ones.